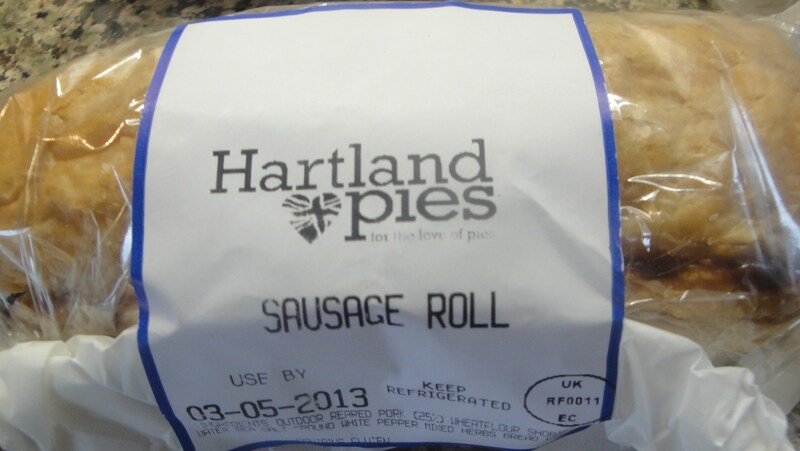 I headed over to the Loughborough Thursday Market this week pretty much with the sole intention of tracking down a stall selling Hartland Pies. I could have gone to Delilah’s, but the hunt is much more fun, it was a little tricky tracking them down but not too hard, I had the pie scent. I had been told that their stall might be down towards the front of the market where you cross over from the bus station side so that was my first search area. 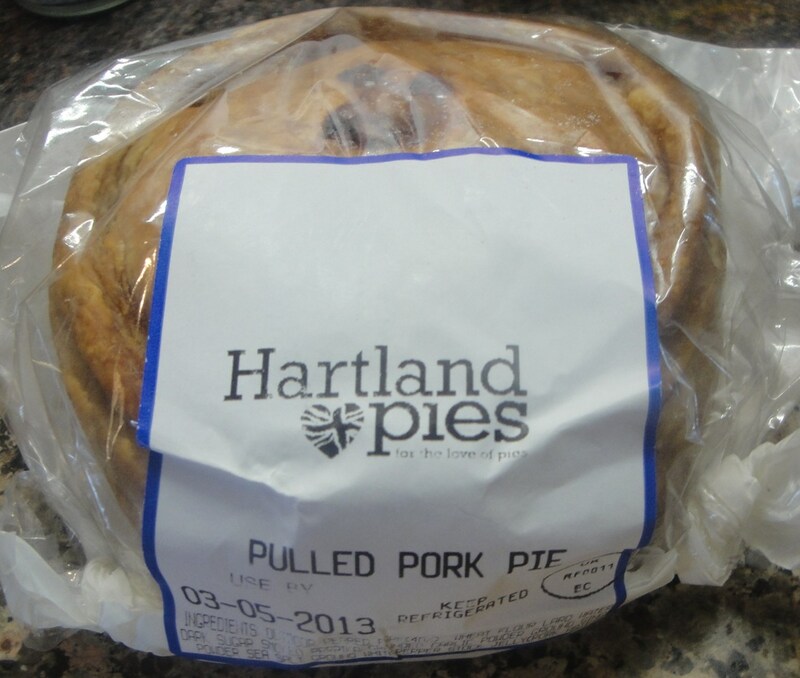 It was a good job that they had plenty of pies displayed in their glass fronted cooler as there was no big sign saying “Hartland Pies here!”. Having said that, somewhat selfishly, I was quite glad of that as I did not want them to sell out before I had the chance to get there and stake my claim on a pie. 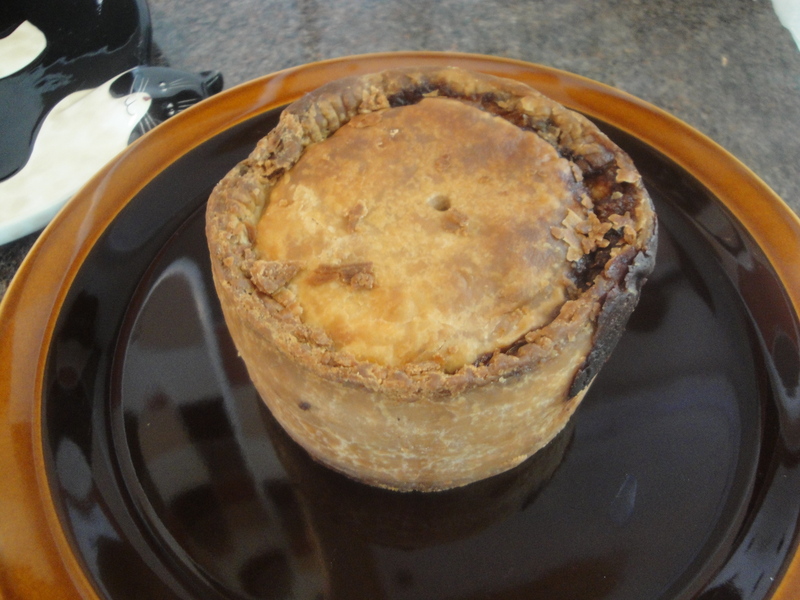 The chap selling them was in good form and we discussed their chances in the British Pie competition and we were all hopeful that they would have a good chance. Even if they didn’t place they must be happy that the locals are supporting them through regular pie munching. 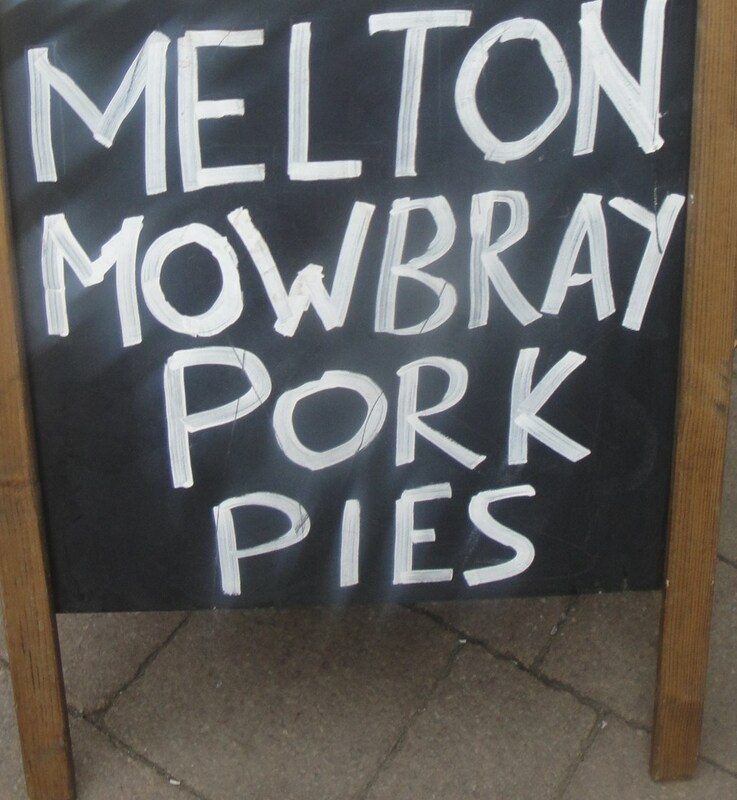 Anyway back to the pie hunt, I was in luck, I managed to find two pies with filling combinations that I had not tried before, a ‘Pulled Pork’ pie and a ‘Pork and Black Pudding’ pie. In addition a sausage roll and a scotch egg were purchased from the default food stall mental shopping list. All in all a very successful food hunt to the market. 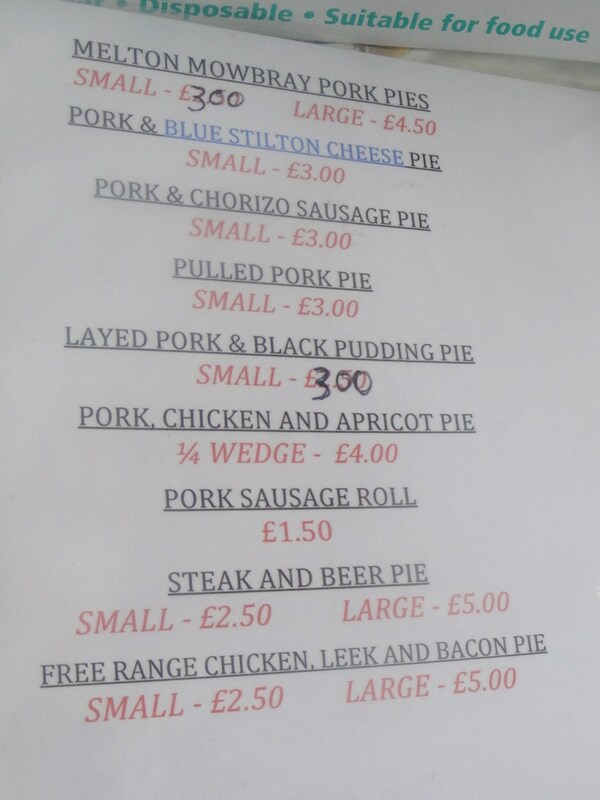 The pies were pretty good value at £3 each for small ones, the sausage roll was just £1.50 and the Scotch Egg (not listed) was I think about £2 or £3 , in my drooling salivations I was just handing over handfuls of pocket change without question so I cannot recall exactly how much they were. I took a picture of the days offerings just so you can see what you have missed out on, don’t worry I am eating for you too. The two pies were consumed for lunch the next day and they are from left to right shown above. 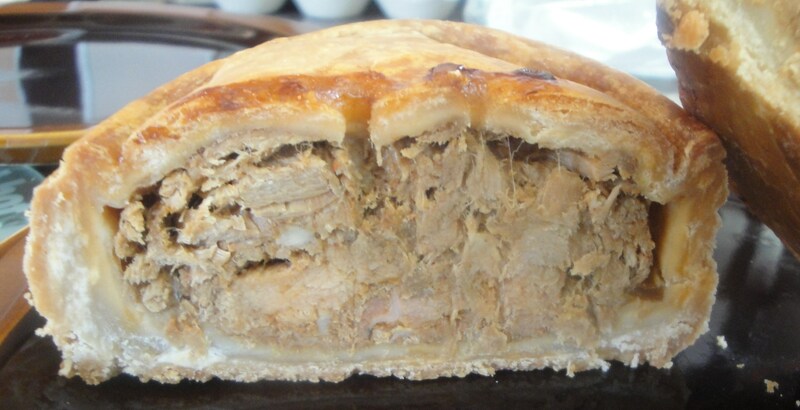 The Pulled Pork pie was my favourite of the two with both excellent texture and flavour. Instead of a solid mound of meat you get the shredded pork which has a much more elevated pork flavour as you get more air in the meat and strange as it may seems more flavour can get to your taste buds as the ‘flavour’ passes quicker through air than solid . Now I don’t have the total science to back that up right now, but I stand (or actually slump in my chair while typing) by that as pseudo-fact. Forgetting all that this is a really good pie. 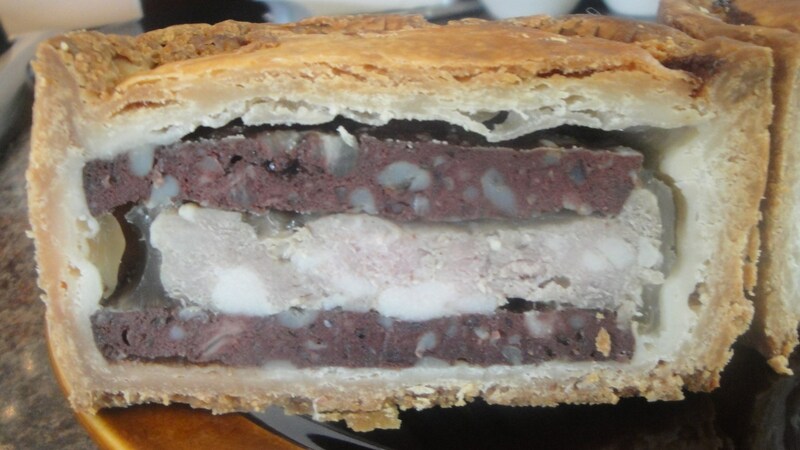 The Pork and Black Pudding pie was really quite visually striking, when cut in half you can see the two thick layers of black pudding sandwiching a nice solid layer of classic pork pie meat. 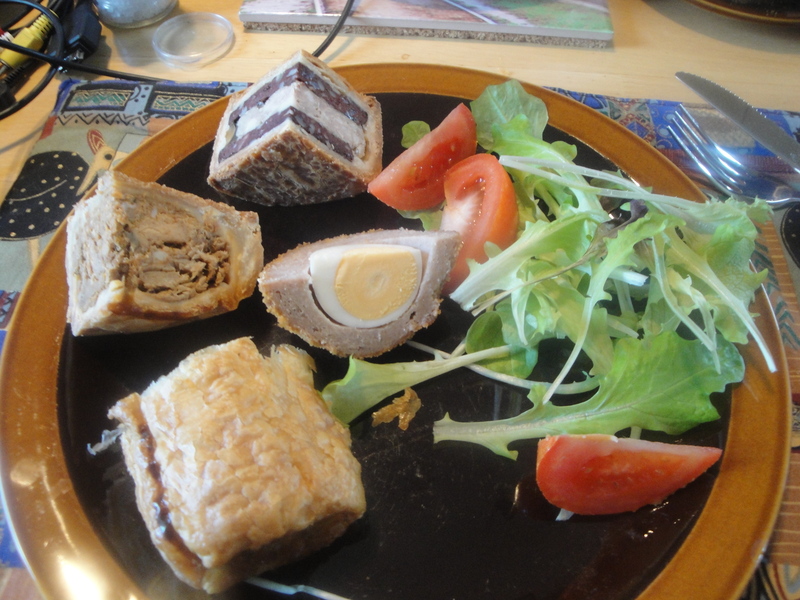 The black pudding was not overwhelming and it was almost a breakfast type of pie. A good solid meaty feast of a pie is how I would describe it. The other items that I acquired were the sausage roll and the scotch egg. I have nothing but respect for these two items, both are decent representatives for their food families. 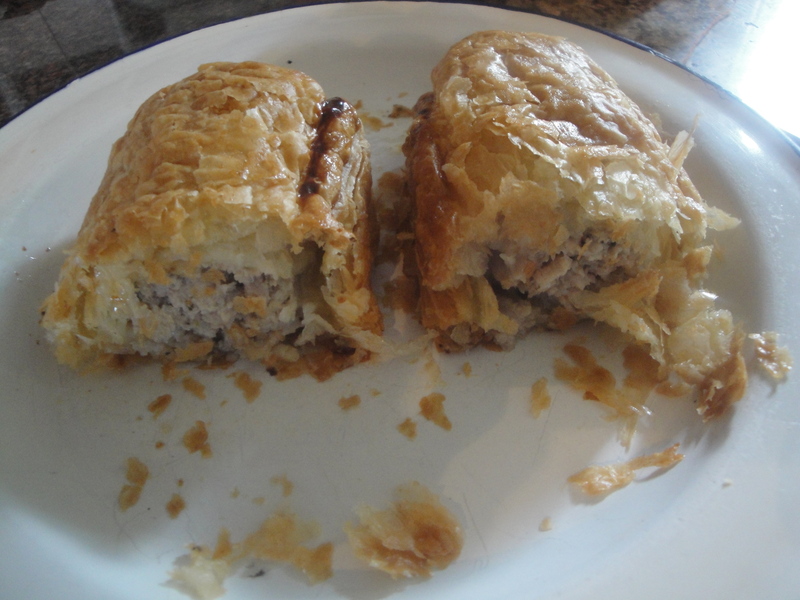 I heated the sausage roll up in the oven and it was a really nice little snack. 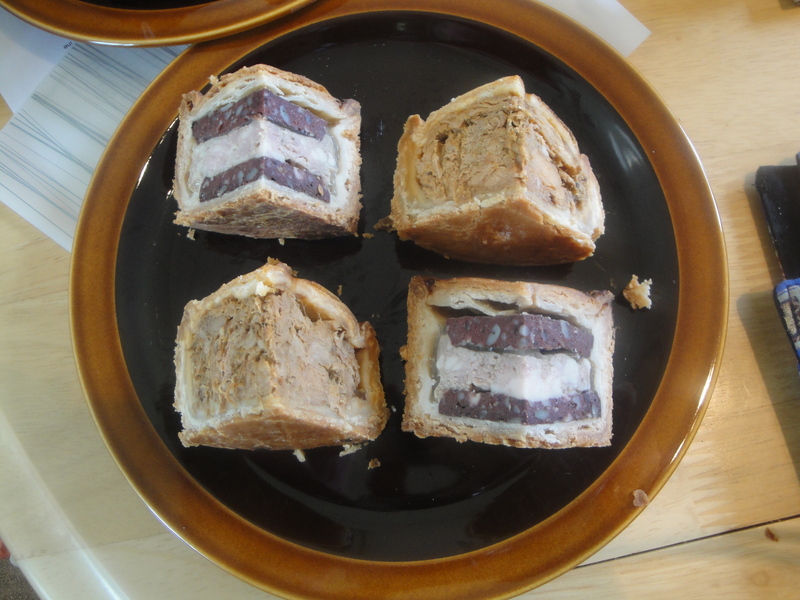 The pork meat filling had a nice herb flavor and the pastry was light and flaky. 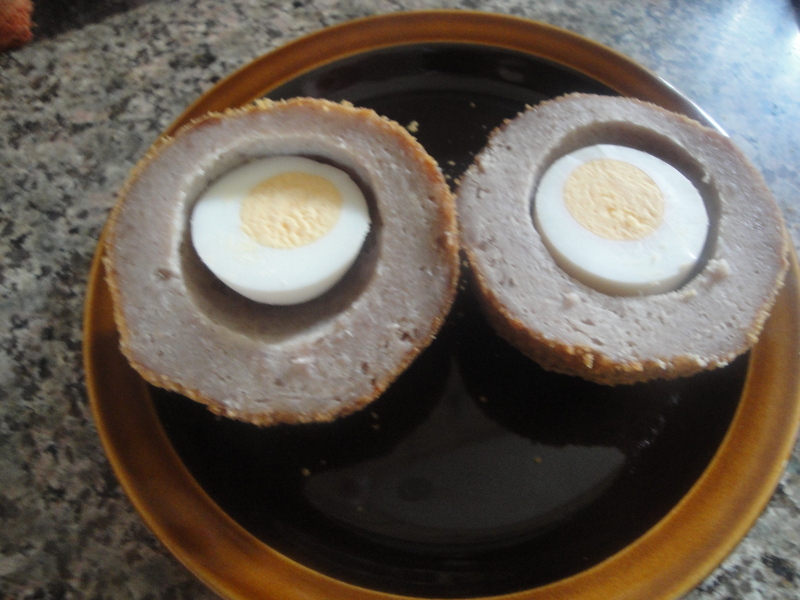 The scotch egg had very solid meat and was pretty much solid pork. It was quite good and there was not too much to fault. Now I don’t really want you to get the ‘right’ idea that all I do is eat pies, scotch eggs, and sausage rolls. It may well be verging close to the truth but sometimes we do try to add a little bit of variety and as you may see I did actually add some rabbit food or is it salad to the plate to make it a decent and wholesome lunch. Go on let me have that one? 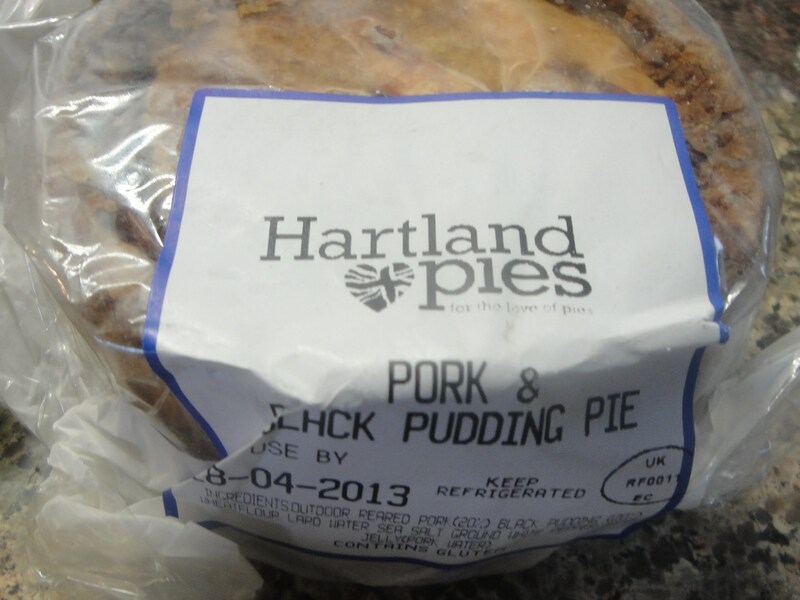 So where else can you get your hands on a Hartland Pie? I have found them on Loughborough market, in Delilah’s, Gonalston Farm shop, and in Brew Dog Nottingham If you check out their website here you can see where else they are available. They are well worth tracking down. 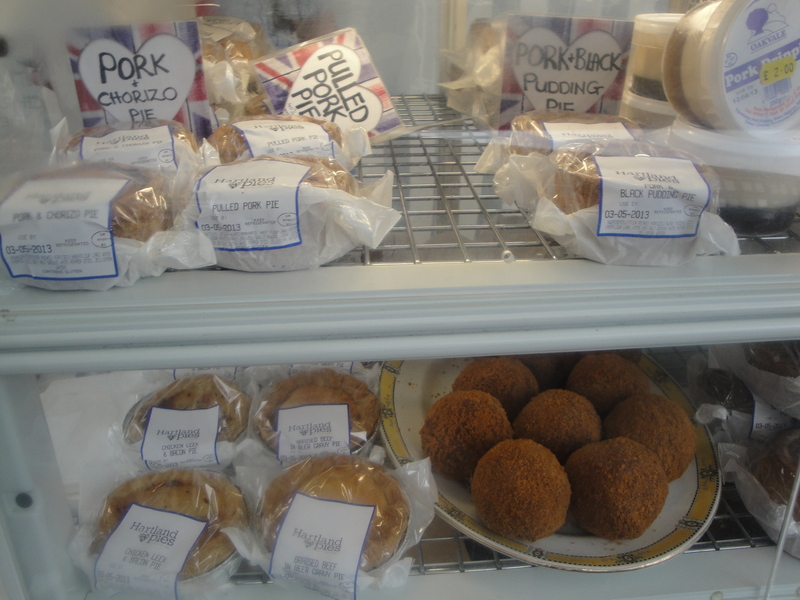 Previous Post C. Brumpton Butchers – “traditional family butchers” – and pies and sausage rolls too!